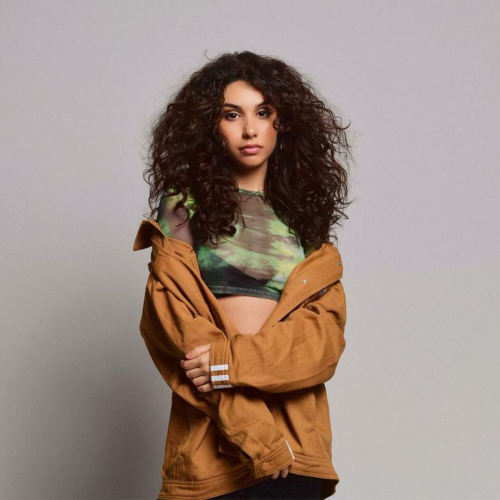 Alessia Cara (born Alessia Caracciolo on July 11, 1996) is a Canadian singer-songwriter from Toronto, Canada. She is currently signed to EP Entertainment/Def Jam Recordings and is best known for Here, her debut single from her upcoming album. Prior to her work with EP Entertainment/Def Jam, Cara was known for her acoustic song covers on YouTube. Born in Brampton, Ontario, she wrote poetry and did theater at a young age. At 10, she began playing guitar and taught herself how to play various songs. At 13, she began her own YouTube channel where she posted covers of songs that she performed. She signed with EP Entertainment and Def Jam Recordings at the age of 18. Cara released her debut single in April 2015. Here was called a "song for everyone who secretly hates parties" by MTV. The song debuted on The Fader and accumulated over 500,000 streams in its first week. On May 5, 2015, the song was chosen as a can't-miss track by SPIN Magazine, listed as a must hear song by Cosmopolitan, and included on Billboard's "20 Pop Songs You Need For Your Summer Playlist" in June 2015.